If you’re experiencing pain or swelling at the back of your heel, you may have an Achilles tendon injury. Jay Bhuta, DPM, at Ankle & Foot Doctors of New Jersey in Millburn, New Jersey, is an expert podiatric surgeon who can evaluate your foot and ankle and provide the most advanced treatment to relieve your pain and promote healing. For Achilles tendon care, call the office or schedule an appointment using the online booking button. The Achilles tendon is a thick band of tissue that attaches your calf muscle to your heel. Its primary role is to assist you with walking by lifting your heel. What are common injuries that affect the Achilles tendon? 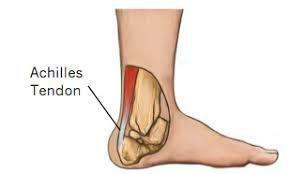 Achilles tendonitis is an acute inflammation of the tendon that may occur from repetitive use. You may be at risk of Achilles tendonitis if you engage in recreational sports or have flat feet. Achilles tendinosis is chronic inflammation of your Achilles tendon that may develop if you don’t properly treat your Achilles tendonitis. An Achilles rupture is a tear in the tendon, which may be complete or partial. Increasing your physical activity or trauma is the most common causes of an Achilles rupture. What type of symptoms does an Achilles disorder cause? With an Achilles rupture, you may hear a “pop” during the tear and may be unable to stand on your toes. What is the treatment for Achilles tendon injuries? Treatment for your Achilles issues depends on the cause. For Achilles tendonitis or tendonosis, Dr. Bhuta may recommend over-the-counter anti-inflammatories, icing, and rest until the inflammation decreases. He may also suggest physical therapy to help improve form and function and prevent further damage. If your tendonitis or tendonosis is due to an abnormality in your foot, Dr. Bhuta can create custom orthotics for better foot support to promote healing and prevent further damage. Dr. Bhuta is an expert surgeon and can repair your torn tendon when it’s appropriate. In either case, whether you have surgery or not, Dr. Bhuta recommends physical therapy after your Achilles rupture has healed to restore strength and function. For expert care of any injury that affects your Achilles tendon, call Ankle & Foot Doctors of New Jersey, or schedule an appointment using the online booking tool.